Didier Drogba (center) receives a red card from Ted Unkel (Ref) on July 31, 2016 in the match between Montreal Impact and DC United. Photo by Jose Argueta. LOS ANGELES – Didier Drogba will return to conclude his final season with the Montreal Impact, despite refusing to accept a substitute’s role in last weekend’s 2-2 draw with Toronto FC. While the Ivorian striker will pay a small fine for walking out on his fans and teammates right before a match on which his team’s playoff hopes hinged, no other disciplinary action will be taken against him. Impact coach Mauro Biello had chosen to start in-form Italian striker Matteo Mancosu against Toronto, a decision which so enraged Drogba, he went AWOL from the match-day squad. The situation left Biello in the awkward position of having to field questions about why Drogba wasn’t in the squad. “He said that he would not accept the fact that he was coming off the bench,” said Biello, speaking to the official MLS website. Drogba’s actions meanwhile, are the latest instance in which the former Chelsea legend has seemingly placed his own interests above those of his club. Drogba, among other things, has refused to play on turf during his time in Major League Soccer, skipped Montreal’s preseason to train on his own, and openly lobbied for a move back to his former club Chelsea. Now once again, it seems the Impact have bent over backwards to accommodate Drogba’s whims, rather than taking the kind of disciplinary action that would’ve been levied against any other player on the team. While Montreal have again forgiven Drogba’s trespasses and made another awkwardly reassuring statement to fans, the striker himself has issued no apology. For better or worse, Drogba is back with his team and is said to have “accepted to assume the role that the head coach sees fit while contributing to the success of the club moving forward,” according to Saputo’s statements. That likely means starting on the bench in Montreal’s final regular season game against New England Revolution on Saturday. The Drogba tantrum has unfortunately overshadowed somewhat that the 2-2 draw with Toronto was enough to clinch a playoff spot for the Impact. While Drogba will take part in the postseason, as an impact sub off the bench most likely, it now seems certain that he won’t be extending his stay in MLS. The 38-year-old striker, who won four Premier League titles and the Champions League with Chelsea, has been linked with a move to Napoli in the Serie A as well as a role on the Chelsea coaching bench. BRONX, NY – Wednesday April 27, 2016: New York City FC ties Montreal Impact 1-1 at home at Yankee Stadium in regular season MLS play. Didier prays that he will not receive the yellow card. Photo by Mike Lawrence. Story by Alex Baker, photos by ISI. 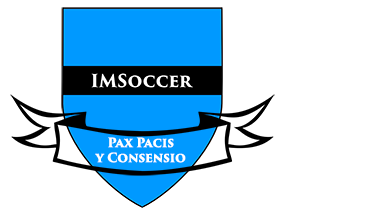 Previous: Time for MLS to Reexamine Designated Player System?